Nothing can compare to the thrill of experiencing something new. And you’ll always enjoy a new story, a new production or a one-of-a-kind performance when you visit the theatre. But when you go to a venue that flips convention on its head, all the better! London has some of the best theatres in the world. And we absolutely love the West End‘s traditional theatres, don’t get us wrong. But the capital’s slightly less conventional theatres hold a special place in our heart. 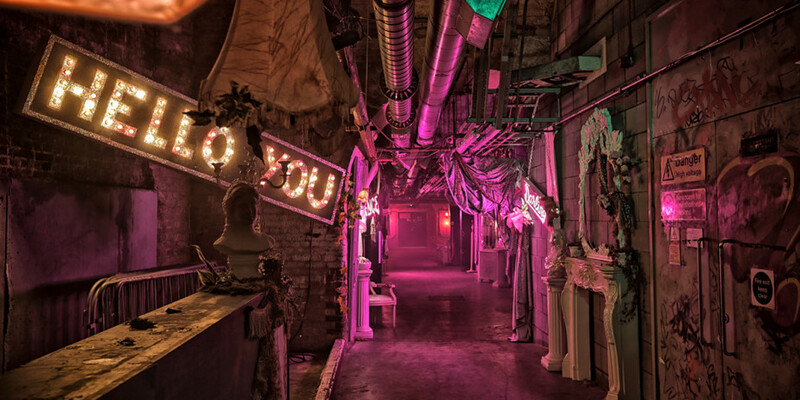 Not to sound cliché but The Vaults is unlike any other theatre venue in London. Nestled under Waterloo station, the winding tunnels and cavernous rooms offer an atmospheric setting for promenade and immersive shows. Sprawling over nearly 30,000 square feet, The Vaults allows show creators to bring imagined worlds to life! In the past, it’s been the home to Alice Underground, The Twits and Goosebumps. Now, it’s hosting Sounds And Sorcery, a multi-sensory concert experience that celebrates Disney’s Fantasia. With iconic scenes from the classic film re-imagined and performed by live performers and beautiful landscapes recreated, it’s a magical show that will tickle your inner child. Even better, for the rest of August, the show is participating in brilliant family deal Kids Week, meaning a child aged 16 or under can go free when accompanied by an adult paying full price. When you picture a theatre, velvet seats, giant safety curtains, gold-gilded decor and a ceiling all come to mind. Well, Regent’s Park Open Air Theatre has none of those. 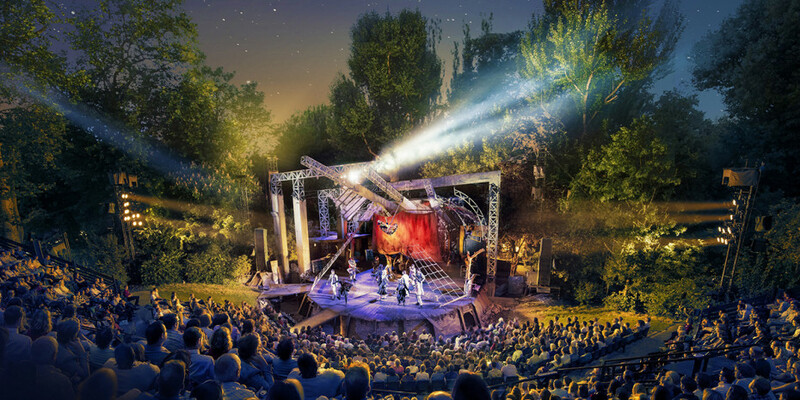 As the name implies, it’s an open-air theatre within one of London’s most beautiful parks. You can watch a show as the sun slowly sets over the city and the park’s greenery peeks around the edge of the set. The magical theatre offers a completely different experience than your quintessential West End theatre and, as you might expect, it’s only available during the summer. Continuing the 2018 season is the apt Little Shop Of Horrors. Little Shop Of Horrors is set in the dilapidated Skid Row. Money is scarce for the residents and businesses are failing. But there’s a glimmer of hope for a flower shop worker named Seymour who discovers a brand new and unusual plant which has some hidden secrets that will change his world forever. The majestic building that sits firmly on London’s south bank is full of surprises. It’s home to the Sea Life London Aquarium, Shrek’s Adventure and, most recently, a theatre. 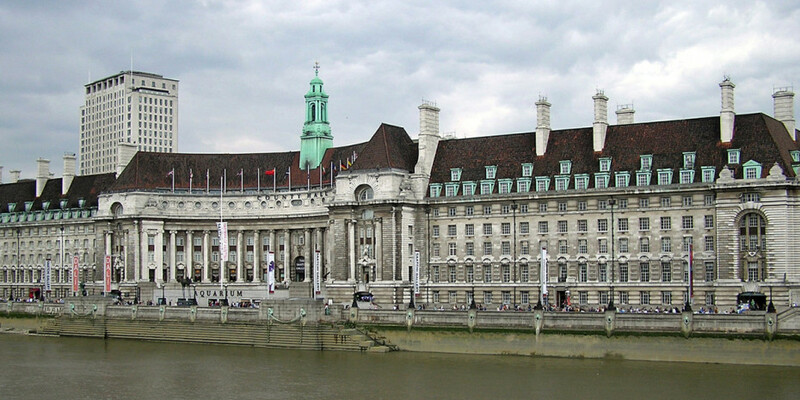 The Chamber, which sits inside London County Hall, was originally a council chamber reserved for debating. It is now the immersive courtroom setting for Agatha Christie’s Witness For The Prosecution. While sitting in the thick of the action, the audience will witness the case against Leonard Vole who is accused of murdering a widow, Emily French, to inherit her wealth. But with a shocking witness testimony, which sees accusations coming from where he least expected them, will he be able to convince the jury of his innocence? Don’t be fooled by its traditional exterior. The Playhouse Theatre has been completely transformed for its latest production. For The Jungle, the row seating has been removed from the stalls in favour of benches, floor seating and a giant table which serves as a stage. Recreating the critically acclaimed restaurant that lived inside the Calais refugee camp, the new layout offers an in-the-round experience where the actors come so close, they might even offer you food and drink. The Jungle shares stories from the residents of the infamous temporary refugee camp. It covers the lifespan of the refugee camp from its creation to its eventual destruction. Join the residents and volunteers to get an insight into the life of those fleeing a life of terror and seeking refuge. 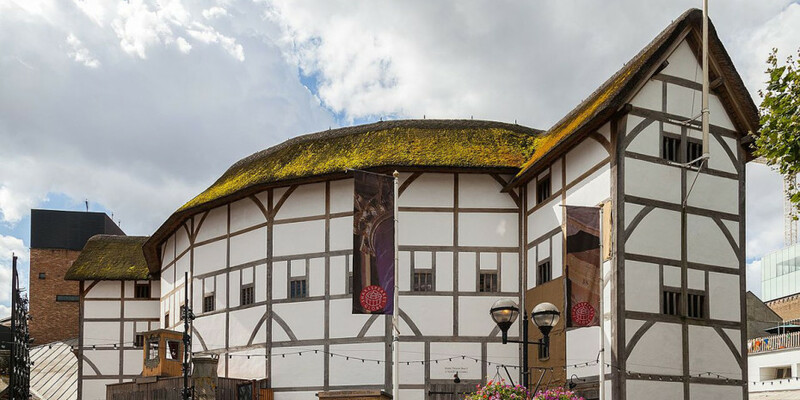 The beautiful reconstruction of The Globe Theatre sits on the River Thames. It’s an open-air theatre that combines tiered seating with standing space for audiences who seek an authentic Shakespearean experience. Shakespeare’s Globe offers a variety of performances of Shakespeare’s work and work inspired by The Bard. Find out what’s on by visiting its website. 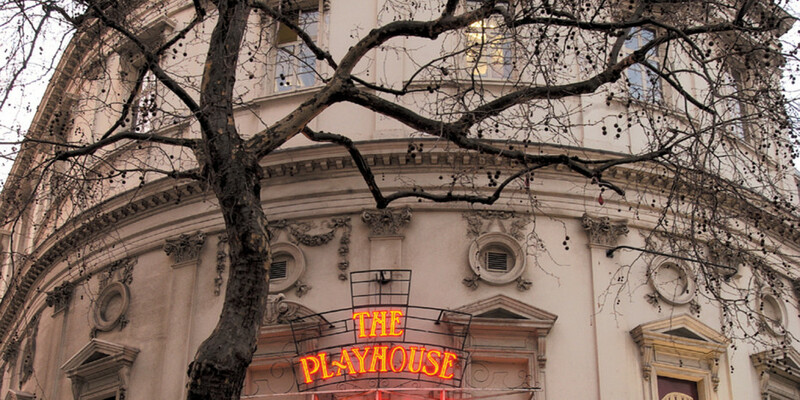 Explore London’s theatres right here.